Gameplay Snippet of Polar Jump! Welcome Polar Jumpers! Today our team is finally able to show you a quick demo video of the game's core gameplay features. To refresh your memory of what the game is about. 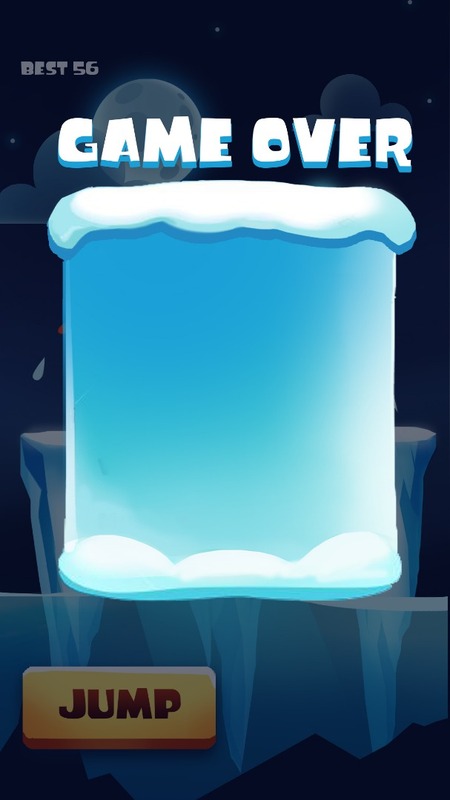 You play as a little cute Polar Bear in the North Pole, jump your way carefully on the melting ice caps! Race against the rising water level and avoid the dangers falling into you! As the world is suffering from global warming, how long can you survive and how far can you get? Our team had a design discussion on things to add into the game to make it more complete. Now that the core mechanics are developed (albeit rough, subject to polishing). It's going to be time to add more varieties and challenges onto the game. Fish Variety: Power-ups and more fish obstacles that challenge player controls. Difficulty Scaling: Over time, game gets harder. With more fishes spawning, water movement is faster and ice caps melt even speedier. Environment Changes: Our team had a cool idea to display global warming on a visual scale. As the water level rising, the environment changes to deliver a sense of urgency. Although we're not really sure how it will look like, we're pretty excited to try it. There are definitely a lot of room for improvement and a lot of cool ideas we had in mind. One of the challenge to release this on a mobile platform would be retention mechanics. A reason for players to come back into the game. Our team had limited time in addition to working on the game during our free time, so we had to work around our means. Let's see what we could come up with! As a bonus, here's some of our further updates that we're working on! Splash Effect On Fish, More Visual Feedback On Jumping And Pop Up Menu Style. 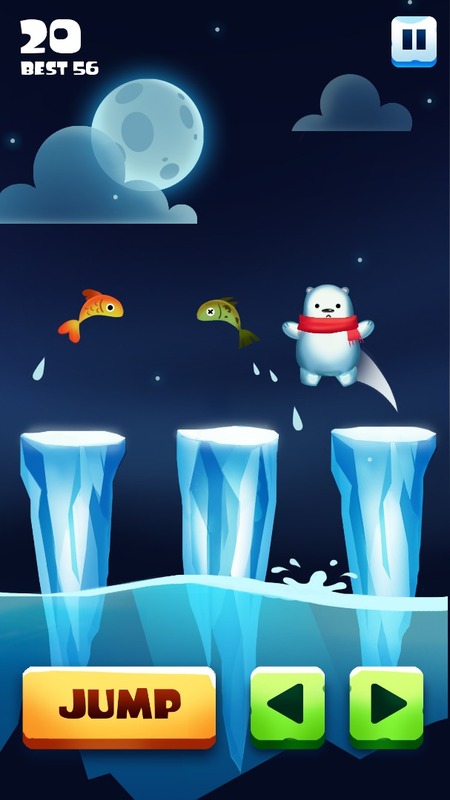 Don't forget to like or follow us so you can get up to date on Polar Jump's development. When the game is released, you'll be the first to know! Thanks for visiting Polar Jump and we hope to see you soon.